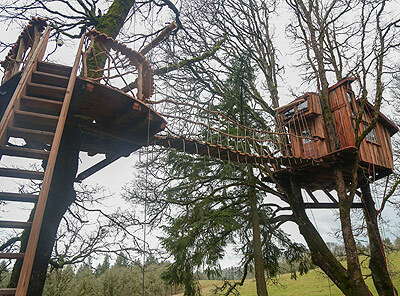 Tree Climbers Perch – Oregon City, Or. 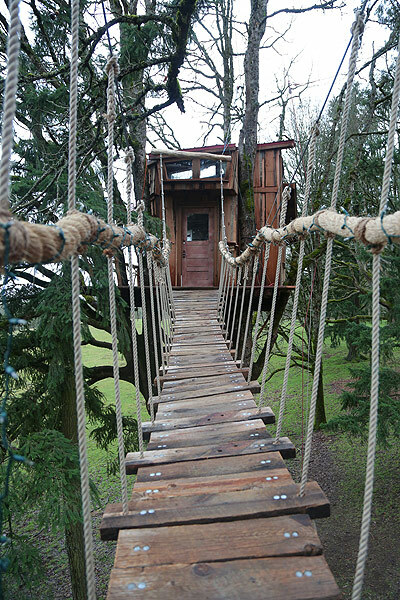 Tim Kovar, world renowned tree climbing expert, met Jake at a climbing workshop and expressed interest in having a tree house at his teaching site up in a grove of beautiful old oak trees as a place for this family to visit as well as for his students to be able to seek shelter from the infamous Pacific Northwest rains. 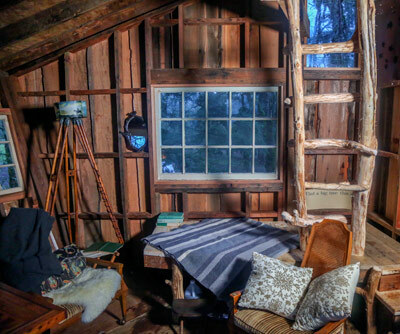 The result is a rustic retreat accessible by one of Jason’s brilliant cable bridge creations. 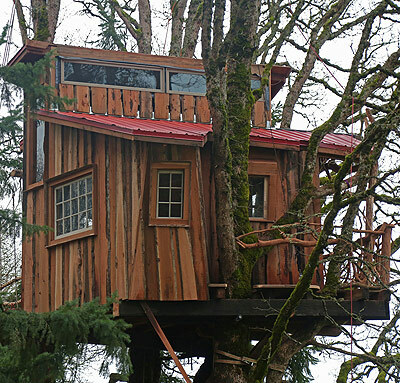 Designed by B’fer and built by Jake, Jason and Mike.